Want better beef? 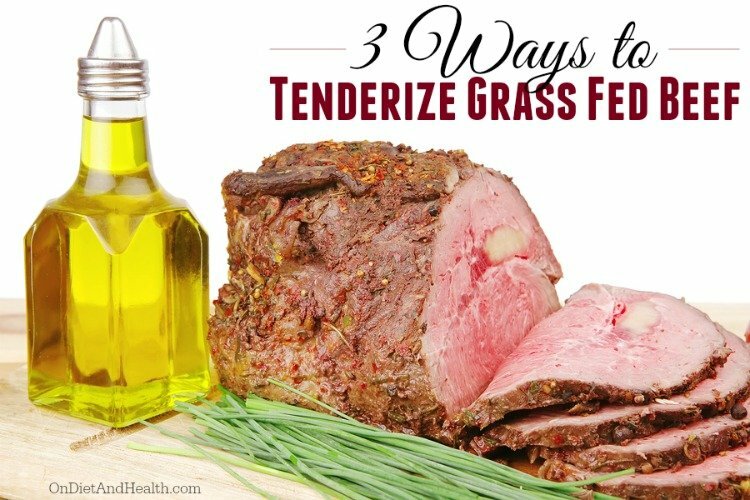 Here’s three ways to tenderize grass fed beef, bison and lamb I learned in an interview with Stanley Fishman. 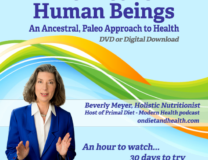 He’s the author of “Tender Grassfed Meat” and appeared on my Primal Diet – Modern Health podcast a few years ago. Fishman prefers pastured meat for several reasons. The first is taste! This meat has a richer taste and is genuinely more satisfying as it contains more nutrients. Feedlot animals are fed corn and soy, making their meat retain water and taste like corn. The water changes the texture of the meat and dilutes the taste. Watery meat requires higher heat or longer cooking times to cook properly. That’s why you’re instructed to cook pastured meat quickly and at lower temperatures. Grass fed beef shrinks less. Combine this with less water weight and it yields more edible meat per pound. The richer taste requires less seasoning, and you’ll notice that grass fed bison tastes like bison, not like corn fed beef. Commercial meat is higher in inflammatory Omega 6 fats and has no beneficial CLA (Conjugated Linoleic Acid). 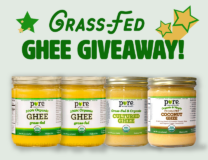 Add in the environmental and health effects of pesticided feed, antibiotics and other drugs, and pastured is simply a better choice when you can include it. I buy a lot of my meats and fats from US Wellness Meats, including Liverwurst – an easy way to get liver every week. Only use unfiltered olive oil! Grass fed beef and bison have less fat and marbling than commercial meat. Adding the right oil to a marinade will tenderize the meat and provide extra cooking fat. Fishman’s books are quite specific on the type of Olive Oil suggested: Unfiltered. Extra Virgin. Organic. Unfiltered oil has specific lipids and enzymes that tenderize. Regular EVOO does not. Unfiltered olive oil will be cloudy, sometimes completely opaque. The bits of olive fruit left in the oil contribute to mild fermentation in the bottle. These oils don’t last as long as filtered oil, so buy smaller bottles and look for an expiration date…. Smaller, local brands tend to be more pure than national brands which may be cut with other oils. Here are the basic steps, but consider investing a few dollars in Fishman’s books for many more tips and recipes. 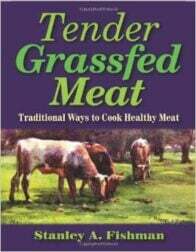 They’re here on my Amazon link as “Tender Grassfed Meat” and “Tender Grassfed Barbecue“. Rub the meat with unfiltered olive oil: An hour or two before cooking, take the meat out of the fridge and rub it with unfiltered olive oil. Coat the whole piece of meat and let it rest. The enzymes and lipids in the oil will tenderize it. Add crushed garlic, spices or herbs if desired, but no salt or vinegar. Let it sit for an hour at room temperature before cooking or refrigerate overnight. Use the enzymes in raw vegetables to do the tenderizing. Chop and crush any of the following and rub into the meat. Rest overnight in the refrigerator or for 2 hours at room temperature: garlic, onions, ginger, green onions, celery, carrot, parsley, a Fuji apple, etc. After chopping, crush the veggies so they start to release their juice. Use a rolling pin or the side of a cleaver. Or, puree the raw veggies instead. Don’t skip this step. This idea was new to me, but works surprisingly well with roasts (not steak). With meat at room temperature, either brown quickly in hot fat in a heavy skillet, or roast it at 425 for 10 to 15 minutes until brown on all sides. Cool to room temperature and refrigerate, or rest 1 to 2 hours before cooking. Don’t overcook! 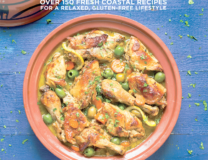 See Fishman’s books for recipes using this technique. Add fat! 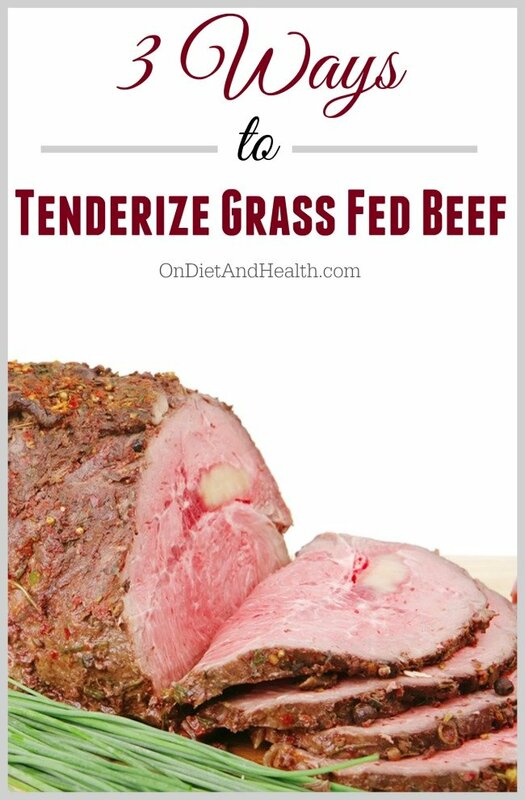 Fat won’t tenderize but it keeps the meat moist, soft and flavorful. Use ghee, bacon, lard, butter or the natural fat cap on the meat. Listen to my podcast with Stanley Fishman of Tender Grassfed Meat for more cooking tips, and ideas on ranching, shopping and eating!